Great news: you don't have to give up grains if you're avoiding gluten. Whether you've got celiac disease, gluten sensitivity, or simply choose to avoid gluten, you probably keep a wide berth between your diet and grains. But not a lot of people are familiar with the fact that only four kinds of grains actually contain gluten. If you remember the acronym BROWS (which stands for barley, rye, oat, wheat, and spelt—a species of wheat), you can avoid these grains and still have all of the fiber and nutritional goodness that grains supply. Here is a list of some of these gluten-free grains, as well as some ways you can use them to add both variety and interest to your meals. The Whole Grains Council shares that there are over 60 different species of the amaranth, the hardy cereal that got its name from the Greek for "one that does not whither." While not a true grain, amaranth has a long (and rather macabre) history stemming back from the days of the Aztecs when it was mixed with blood and used in sacrificial cakes for the ancient gods. 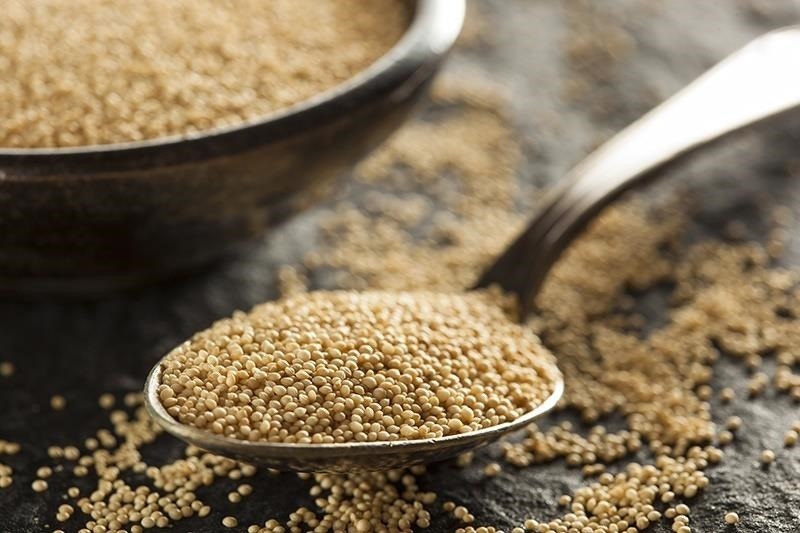 Often considered a superfood, a cup of cooked amaranth contains 5 grams of dietary fiber and 9 grams of protein, as well as a whopping 12% of the DV of calcium. The seeds of the amaranth are said to have a nutty flavor, and like many pseudo-grains they taste best when toasted before other preparation. They are also excellent for making gluten-free flour. 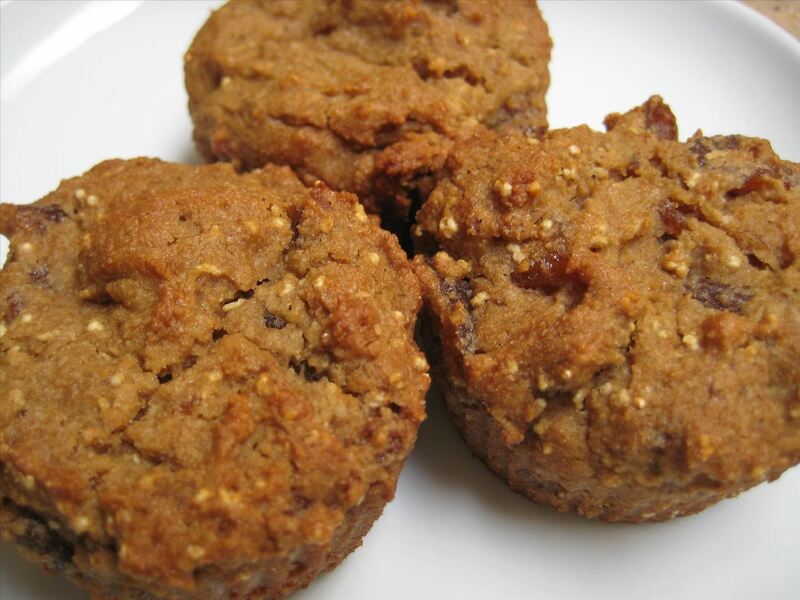 As for cooking suggestions, these super healthy apricot amaranth muffins from Canadian nutritionist Marni Wasserman look crispy and delectable. Because of the amaranth flour in them, they are full of protein and calcium, and the apricots add both sweetness and additional fiber. And they could not be easier to make! No, it's not just a character from SNL or one of the Little Rascals! Actually it's another pseudo-grain: buckwheat is a plant seed from a green that is similar to rhubarb. It is often included in lists of grains, though, because of its usage and remarkable nutritional content. Not only does it contain all of the nutrients listed below, but it is also an excellent source of bioflavonoids (good for lowering cholesterol), tannins (help regularity and bacterial reduction), and bound antioxidants (may help prevent cancer). 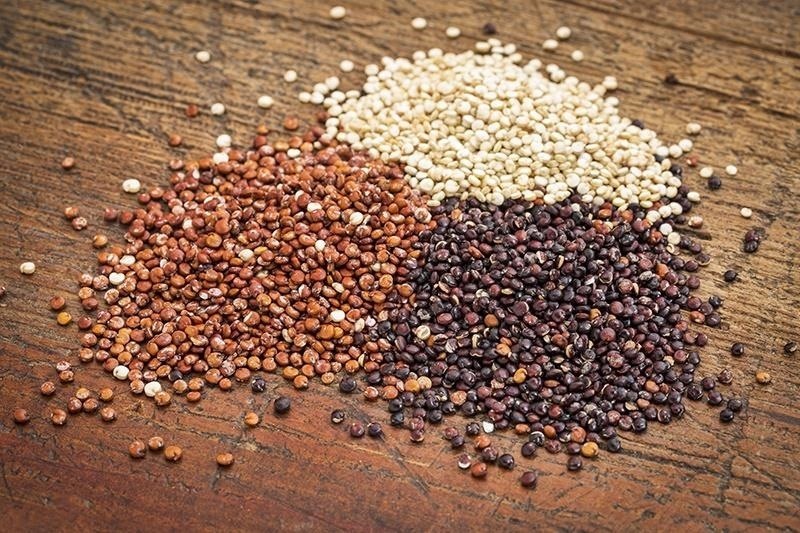 Buckwheat is thought to have originated in southwest China, though it is found in the cuisines of France, Italy, and Eastern Europe. 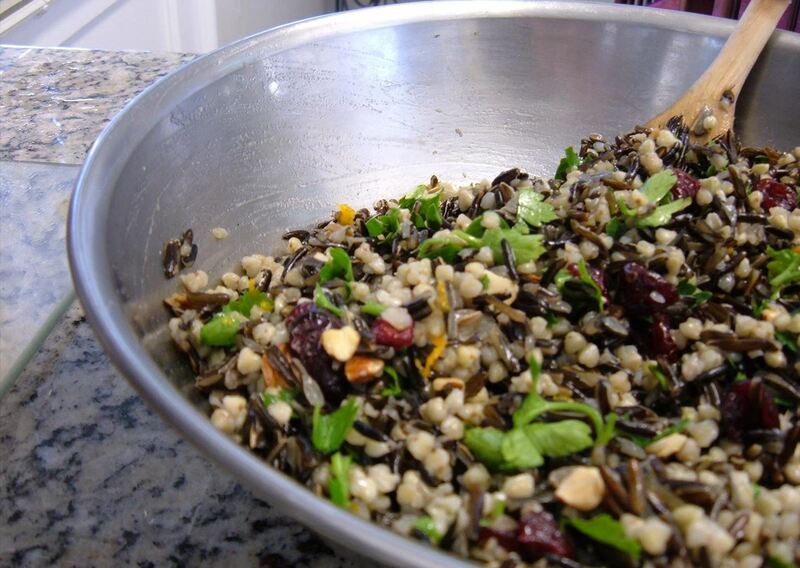 Here is a more modern (and healthier) recipe for a gorgeous cranberry, wild rice, and buckwheat salad from Angie's blog Gluten-Free, Dairy-Free, Sugar-Free. Of all the grains and pseudo-grains listed here, farro is the one most rapidly gaining popularity. But it turns out that "farro" isn't just one grain—it's three, according to an exhaustive NPR piece by Laura B. Weiss. 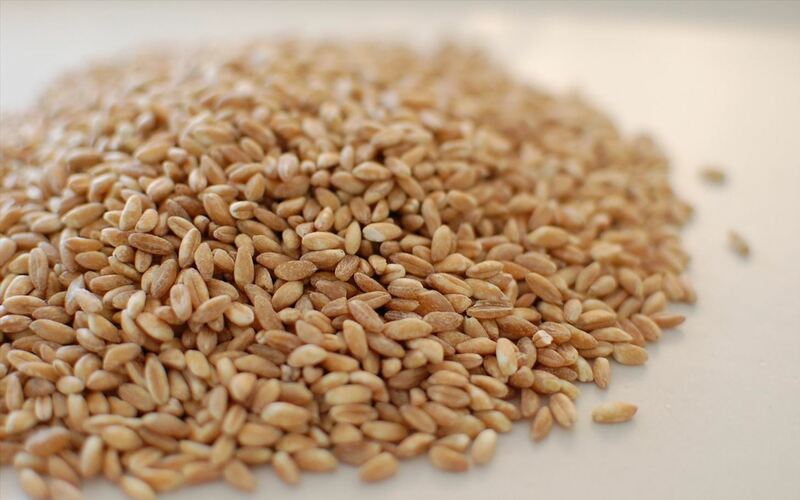 Though said to have originated in the Fertile Crescent of the Middle East, the farro you are most likely to have or use today in the U.S. is probably emmer (as opposed to einkorn or spelt, which are also "varieties" of farro). According to Weiss, farro can be found as "...whole farro, which retains all the grain's nutrients; semipearled, in which the part of the bran has been removed but still contains some fiber; or pearled, which takes the least time to cook but has no bran at all." Farro makes an excellent substitute for rice or the small, grain-like pasta known as orzo. 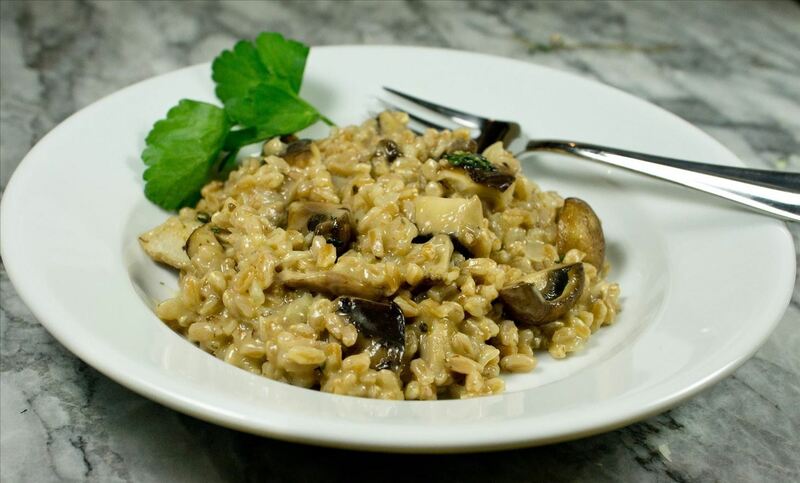 My personal favorite way to prepare it is in a risotto, as in this savory dish from the site Healthy Delicious by Lauren Keating. She mentions (and I concur) that one way to make this dish even easier is to use Trader Joe's readily available 10 Minute Farro. First of all, it's pronounced keen-wah; nothing drives me more nuts than hearing people ask for "kwin-o-ah!" It's ironic that its name is so often mispronounced, as quinoa is easily the best known of all the grains listed here. Native to Bolivia and related to beets, Swiss chard, and spinach, quinoa is highly nutritious—earning it the designation of "superfood." One cup is said to contain 8 grams of protein, 5 grams of fiber, 15% DV of iron, 30% DV of magnesium, 19% DV of folate, and even some omega-3 fatty acids. It comes in three varieties: red, black, and white (whole grain). 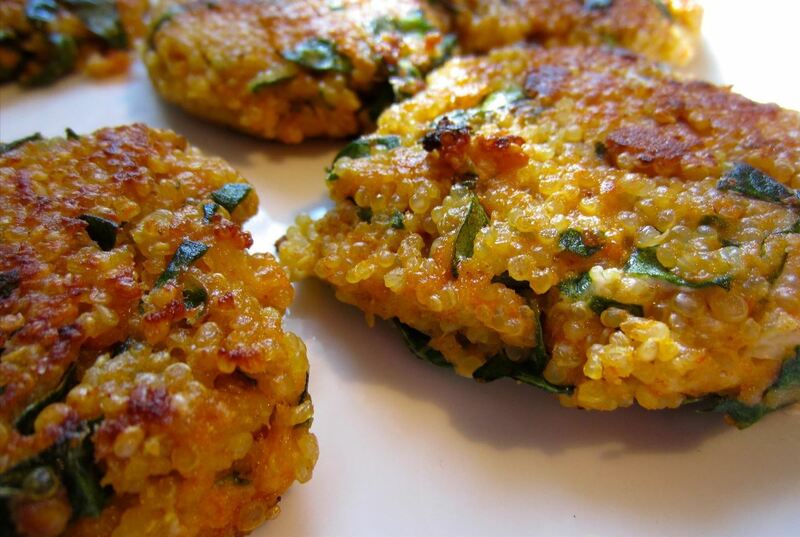 These beautiful and nutritious quinoa cakes with sriracha, goat cheese, and spinach are touted as a tasty snack. But they would make a wonderful vegetarian entrée for brunch or dinner, especially if served with a hearty salad. 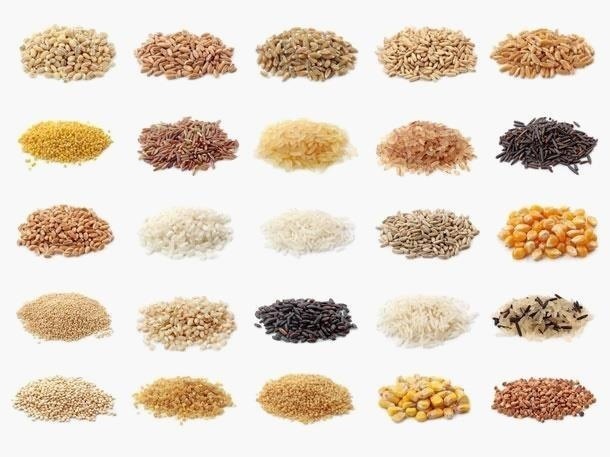 Whether you're trying to avoid or reduce gluten in your diet or just attempting to add a little diversity to your dishes, you can do so by utilizing any of these or the plethora of other grains and pseudo-grains out there. You can also substitute grains for traditional white flour pastas or rice. Just make sure to carefully follow instructions to rinse or toast the grains when recommended, and you can produce a bevy of beautiful meals that are high in nutrition and flavor and low on gluten and processed grains. Farro has gluten! Please don't eat it if you are avoiding gluten!